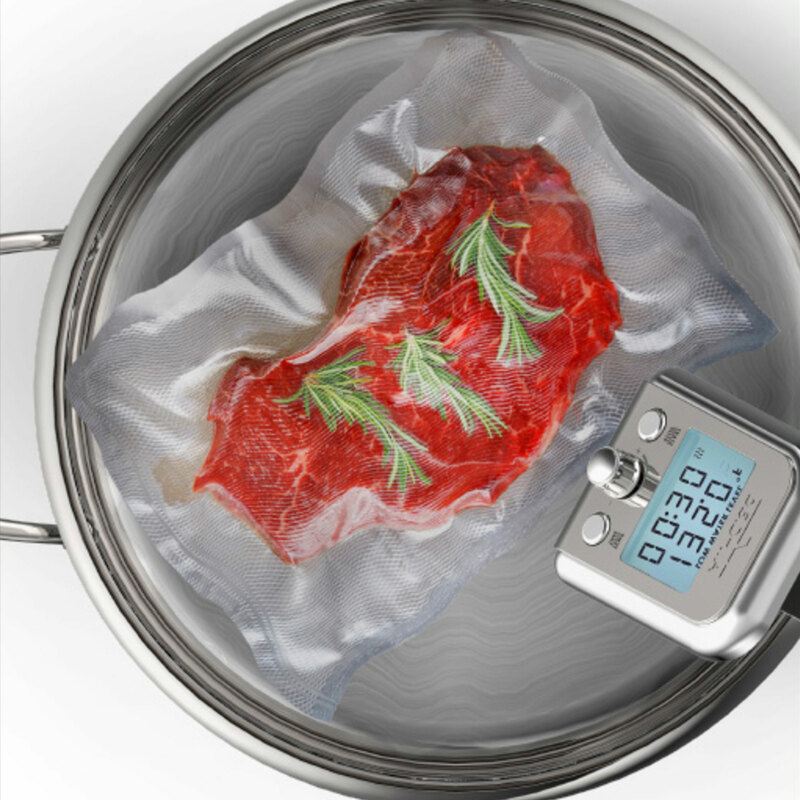 The All-Clad Sous Vide Immersion Circulator allows you to create perfectly cooked, and juicy results that are never over cooked. 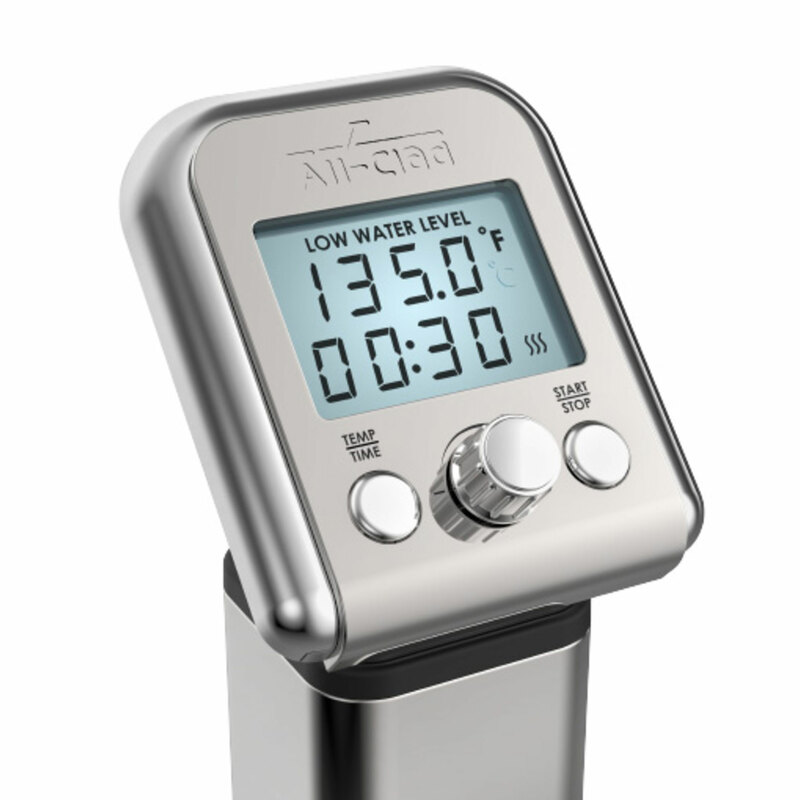 The thermal circulator continuously pumps water at programmed temperature to ensure consistent cooking temperatures set with 0.1° accuracy. 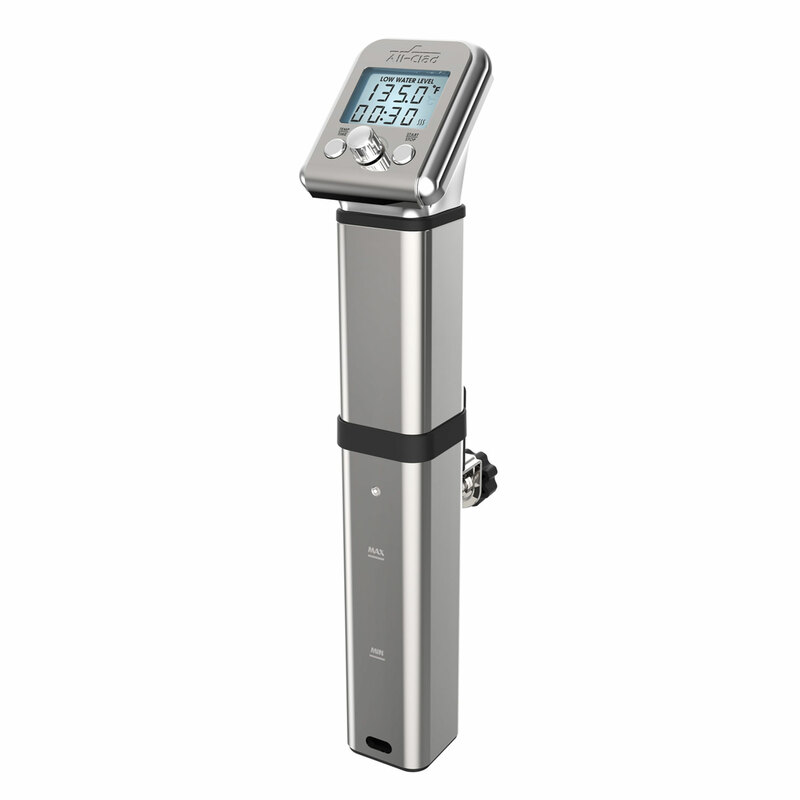 The sous vide circulator offers a professional style precise temperate control with a quiet and compact design for the ultimate cooking experience. 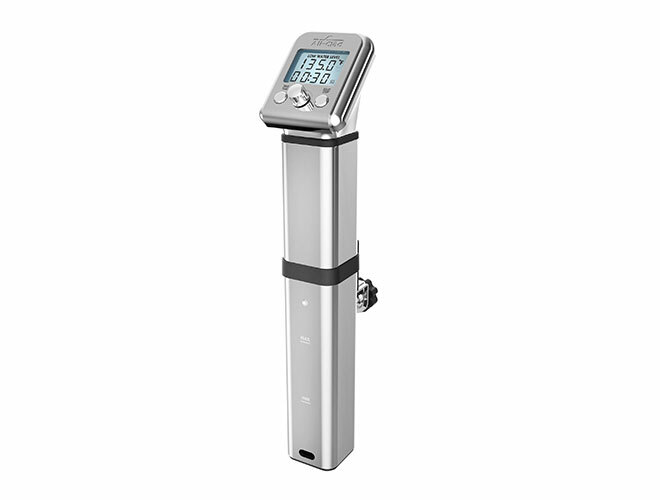 The unit's adjustable clamp allows you to secure your circulator to whatever cooking vessel you prefer, while the easy to use control panel displays real time temperature and timer to conveniently monitor your progress. 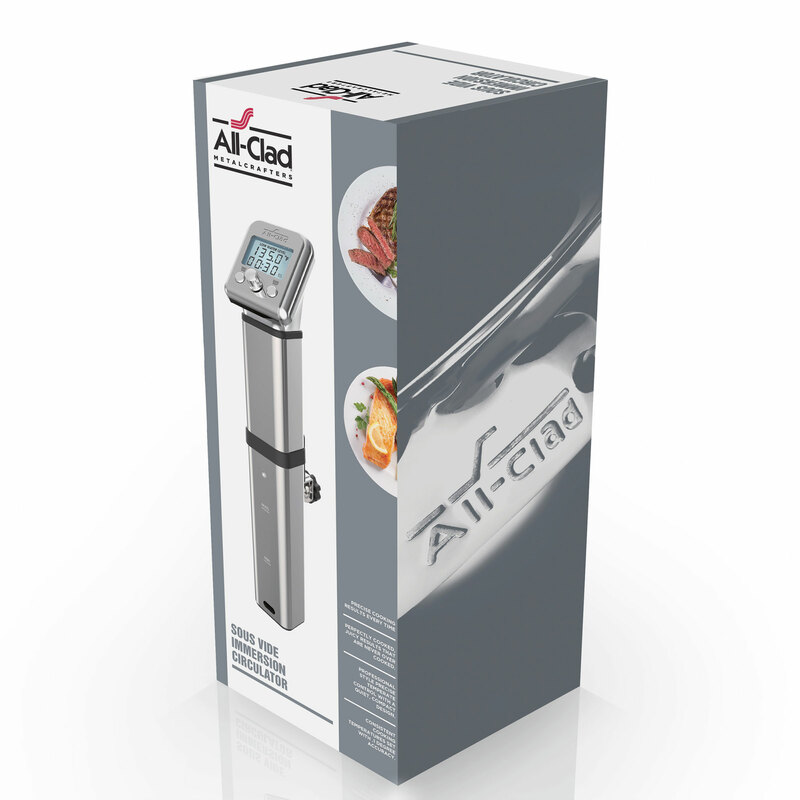 Satisfy your passion for cooking and getting perfect results with the All-Clad Sous Vide Immersion Circulator. Countdown timer to track the progress. 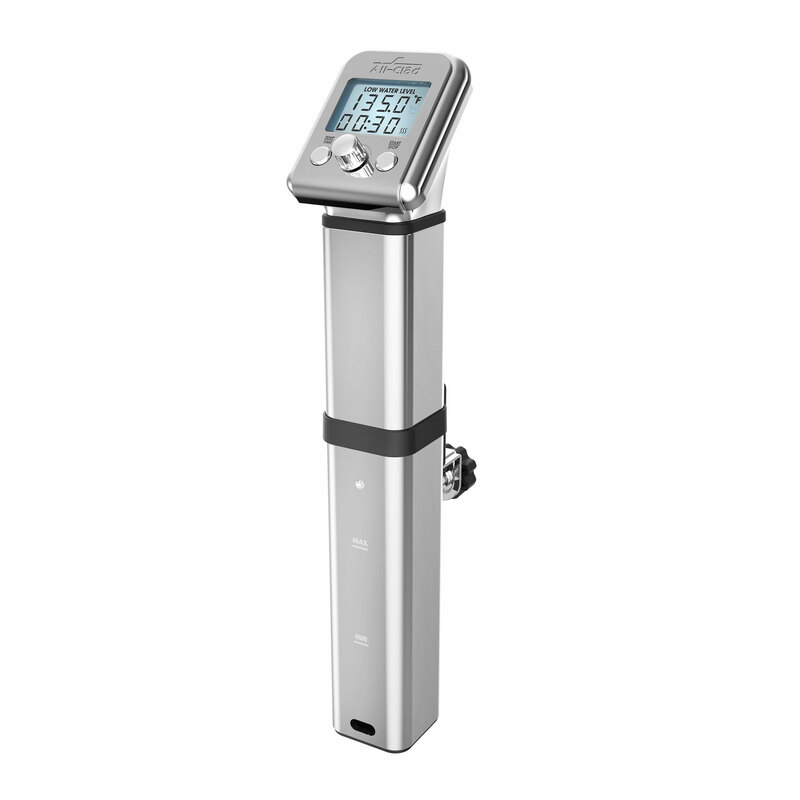 Easy to read LED displays real time temperature and timer to monitor your progress. Beautiful, high gloss All-Clad stainless steel finish. 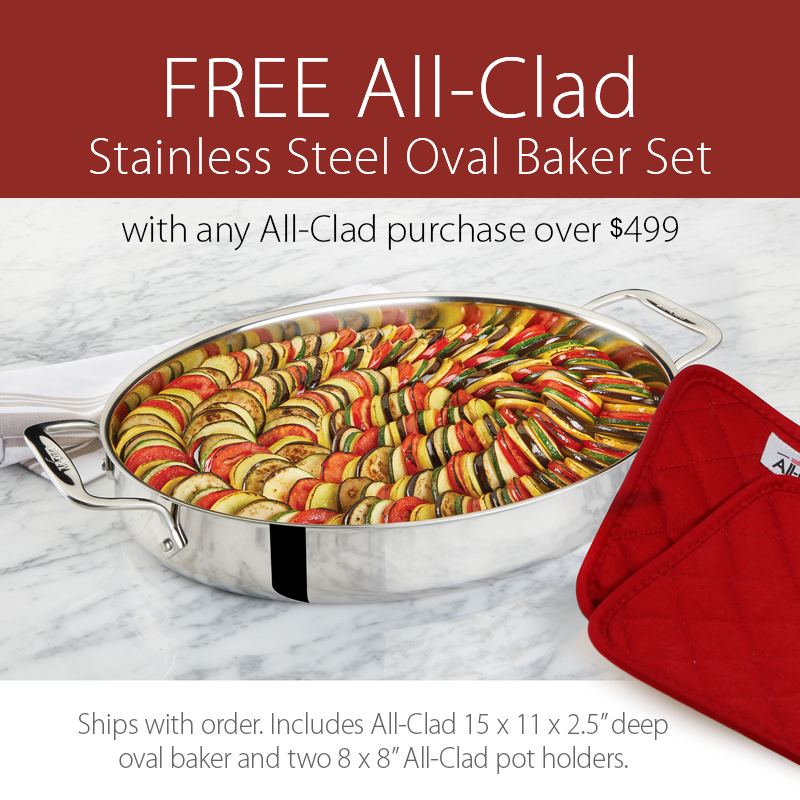 Easy to use adjustable clamp to secure your circulator to whatever cooking vessel you prefer. 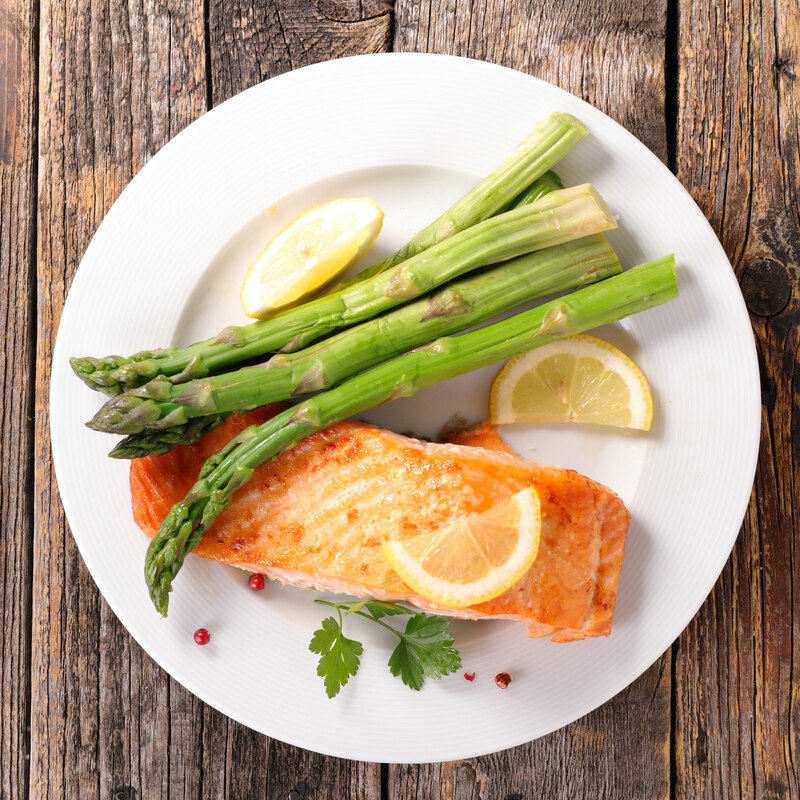 The All Clad Sous Vide cooking technique matches with the brand's heritage, focusing on uncompromising performance and quality results that professional chefs expect.